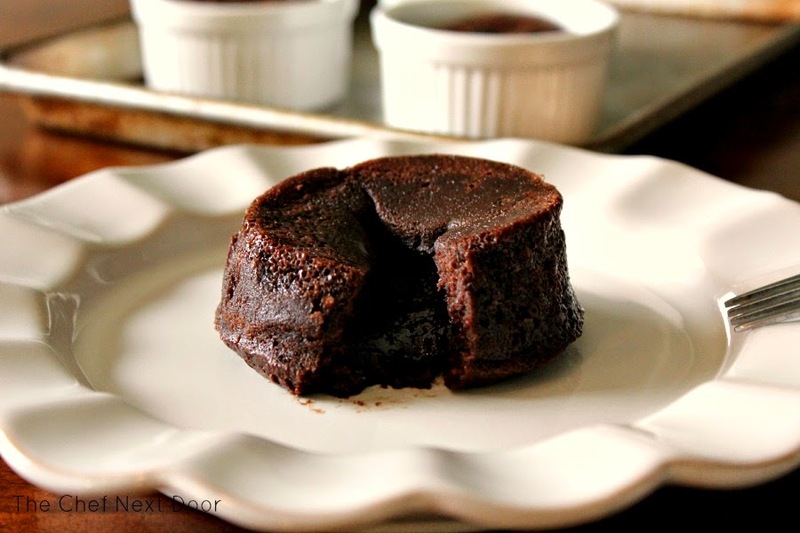 A decadent chocolate cake with a warm, gooey center! Hi, my name is Sarah and I'm a chocoholic. I can't live without chocolate and manage to have a small piece almost every day. Whether it's a little slice of cake, a chocolate chip cookie, or even a piece of candy, I need to satisfy my sweet tooth. 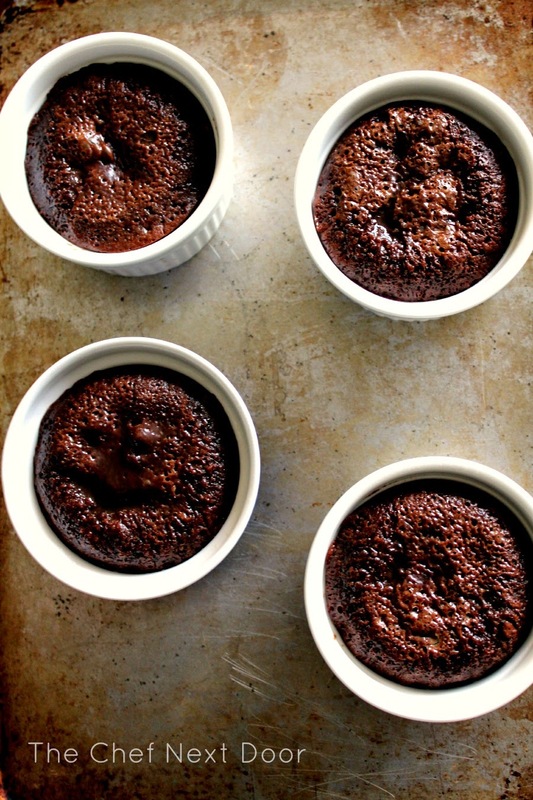 These delicious Chocolate Lava Cakes will do the trick to tame that craving. They are super simple to make and perfectly portioned, and in less than 30 minutes you can have a warm, ooey gooey chocolate cake all to yourself. And no worries, this recipe makes four little cakes so all the peeps in your family can have one of their own, and not steal yours! Preheat the oven to 375 degrees. Spray 4 ramekins liberally with baking spray; set aside. Put the butter and chocolate chips in a small saucepan over low heat until they melt, stirring often to prevent clumps. Do not overheat. As soon as the mixture is smooth remove from the heat and allow to cool for a few minutes. Whisk the eggs and sugar in a medium bowl until well combined. Add the vanilla and salt to blend. 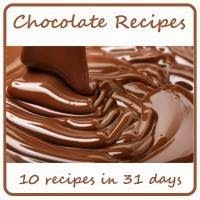 Add in the chocolate mixture and mix well until thoroughly combined, then stir in the flour. Evenly distribute the batter into the four ramekins. Set the ramekins on a baking sheet, then pop them into the oven for 10-12 minutes for a soft center. Less time in the oven will make for a gooier center. Let the cakes cool for about 5 minutes. Carefully invert the cakes onto a plate. (The ramekins will still be warm so use caution!) Enjoy immediately.